Ever feel you don't belong in the room? This week we had an awesome guest on the podcast, Erica Ballard who spoke about overcoming the fear of "not feeling like I belong in the room and that others in that room are all experts". Today I want to briefly dive into this lie with you, as I know so many of us have felt this way at one point or another. Here is my word of wisdom for you ---> You are an expert exactly where you are. You have knowledge in this very moment that you didnt have a year ago. And there is someone out there who doesn't know what you know today. We live in a world where we are always striving to be better, which isn't a bad thing, but not a good thing when we go through life not feeling enough. I am going to keep this blog short and sweet today because oftentimes, the most powerful words are the simplest. Join me in this visualization. You are climbing a ladder. Above you are the mentors you look up to, the places you want to be, and where you feel is so far away. Little by little you learn, you implement, you begin to master new things and those people and places pull you up to them. Behind you on the ladder is your past self. Who you were maybe a year ago. That girl who was striving to be where you are today. You would tell yourself then "If only I could be ______, then I'd feel like I made it". You reach down and you pull her up. Then your mentor reaches down and pulls you up. Their mentor does the same for them and so on. This process is never ending. We continually strive to be better and do become better with each day we are alive. We are constantly learning new things whether we try or not. Your present self today is always more than capable of helping your past self. So with this being said, you my friend are ALREADY an expert. You have something that someone else has yet to find. You are enough exactly where you are. Embrace it. Be proud of it. And make sure you celebrate it! Did this hit home today? Do you ever feel you aren't ahead enough to be an expert? Comment below and share with me! If think you might be ready to get some support with this, shoot an email to me at kate@katecrocco.com and we will chat about some ways I can support you in getting confident in what is already within you. If you want to hear more of my morning discussion, make sure to head on over to my YouTube channel to check out the video I did on this topic as well! And catch Erica's episode all on this topic over on the Podcast HERE!!! Newer PostEver feel the harder you work the worthier you will be? Older PostEver feel you can’t help people and make money in the process? 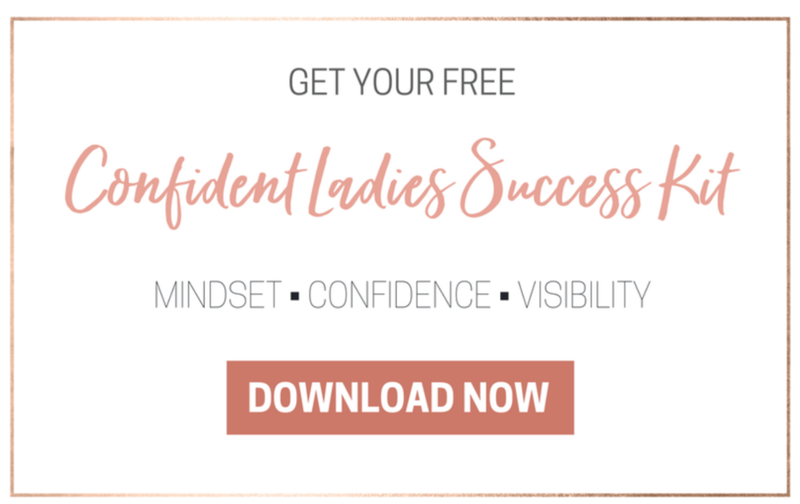 Confident & Mindset Coach for Women Entrepreneurs.